I'm pleased to announce that O! Jolly! is the sponsor of this month's Pattern Review contest. 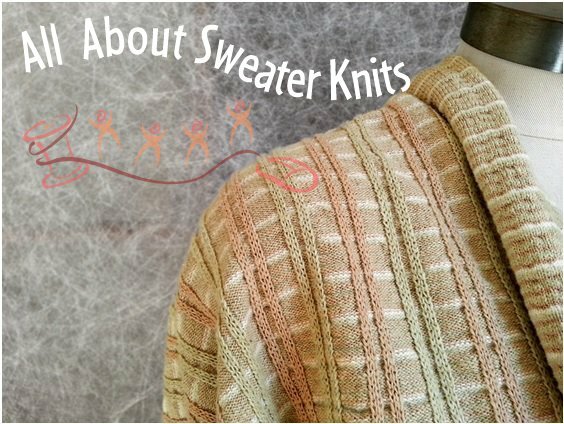 It's the 2015 Sweater Knits Contest, and I'm very happy to be a part of an event that gets more home sewers excited about sewing sweater knit fabric! The contest officially begins tomorrow, October 1st. Links to the contest discussion, rules, gallery, contest badge are on this page. I got to meet Deepika, PatternReview's owner and founder, when she visited New York City recently. We had brunch in SoHo and chatted about sewing and fabrics, including sweater knits, of course. How interesting to learn how Deepika started PatternReview fifteen years ago and how the site has evolved. Deepika said that people were once wary of posting photos of themselves online. Imagine that! ;-) After brunch we went shopping at Purl SoHo and later ogled the all the luxurious fabrics in the clothing at the Chanel store. What a delightful afternoon! Here's an Instgram pic of Deepika at Purl SoHo in front of the Liberty of London display, wearing a pretty True Bias Southport Dress that she made. Pictures of the Pattern Review Sweater Knits Contest entries will begin to be posted on PatternReview over the next couple of weeks. To help get the things started, I've contributed a few suggestions and tips on working with my favorite type of fabric. Please check them out on the Pattern Review Blog. In case you'd like to join the fun, all the official rules and prizes are here. I can't wait to see what the participants create!